How many names can one stitch have???? 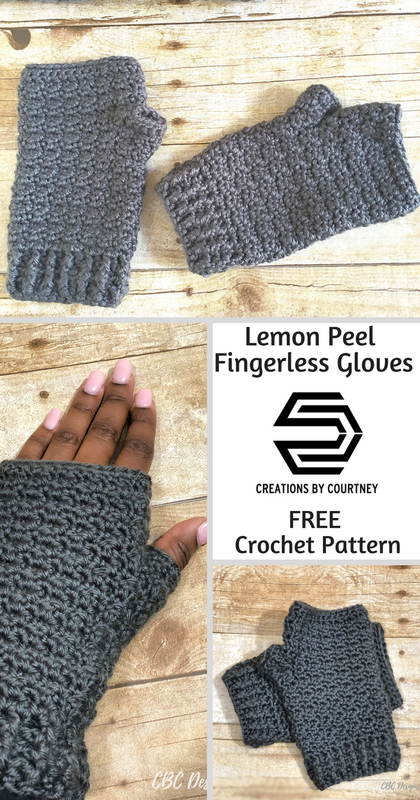 I created the Lemon Peel fingerless gloves because I wanted a quick, gratifying project using my favorite stitch pattern. In thinking of a name, I had to reach out to fellow crocheters for the name of my favorite stitch. This current fav is the combination of alternating single crochet and double crochet stitches. I love the look of texture that is created by the alternating heights of stitches. Some awesome ladies in a crochet-themed Facebook group offered several names that I found interesting :-), such as lemon peel stitch, citrus peel stitch, grit stitch, suzette stitch, and seed stitch. Five names! Five names for one stitch! Can you name five names for one stitch? I had never heard of the lemon peel stitch or citrus peel stitch. I took to Google and Pinterest to sort out all of the names because I didn’t think that all five were exactly what I was looking for. Through the process of elimination, I was left with the lemon peel stitch, citrus peel stitch and seed stitch referring to the same pattern of alternating single crochet and double crochet. I was happy to finally know the name and have options. Also on the blog, I have two other designs with the lemon peel/citrus peel/seed stitch, the Hooded Poncho and the Rainy Day Hat. If you like to see a picture tutorial of the lemon peel/citrus peel/seed stitch, visit AllFreeCrochet.com. AllFreeCrochet.com is one of my favorite places to find patterns and stitch tutorials. I bet you enjoy receiving their emails too. *Pattern tested by Michaela and Melissa for accuracy. If you find an error or need pattern support, let me know. This post contains an affiliate link. If you decide to purchase your supplies with the provided link, I will receive a small compensation, and you still get a great price. 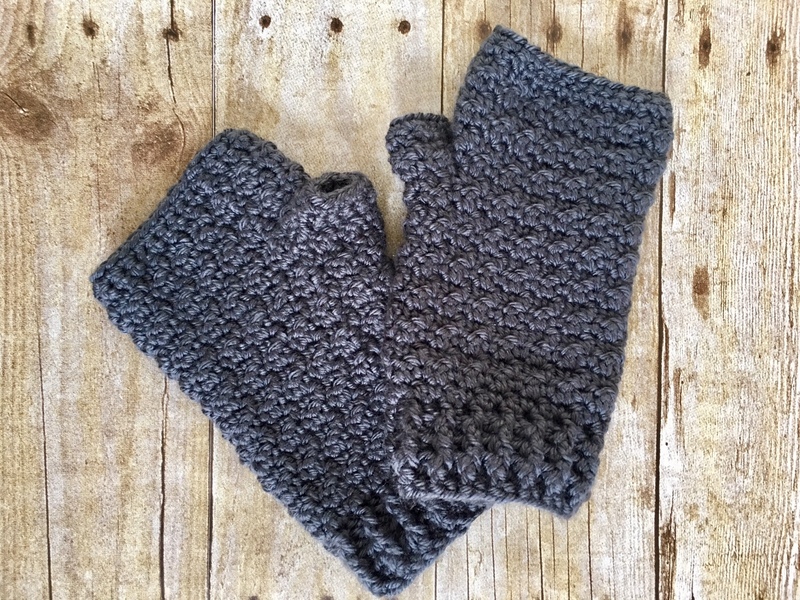 By choosing to purchase your supplies through the provided affiliate link, I can continue to provide free patterns. Ch 1 at the beginning of rows does not count as a stitch. Foundation stitches can be substituted by making a chain of 32, then dc in 4th chain, dc in each st to end, sl st to join. Continue to follow the rest of the pattern as written. You have the option to not create the thumb hole, or follow one of the two options provided within the pattern. Round 13: ch 1, *sc in next st, dc in next st. Repeat from * for 22 stitches, ch 6, sk 6 sts (thumb hole created), sl st to join, turn. Round 2-3: ch 1, sc in first st, dc in next st, *(sc in next st, dc in next st). Repeat from * around, sl st to join, turn. Round 4-5: ch 1, sc in first st, sc in each st, sl st to join. FO after Round 5, weave in end. Row 4-5: ch 1, sc in first st, sc in each st, sl st to join, turn. FO after Row 5, weave in end. Enjoyed the pattern? Want an ad-free copy? Grab a copy from my shop or Ravelry for a small fee. 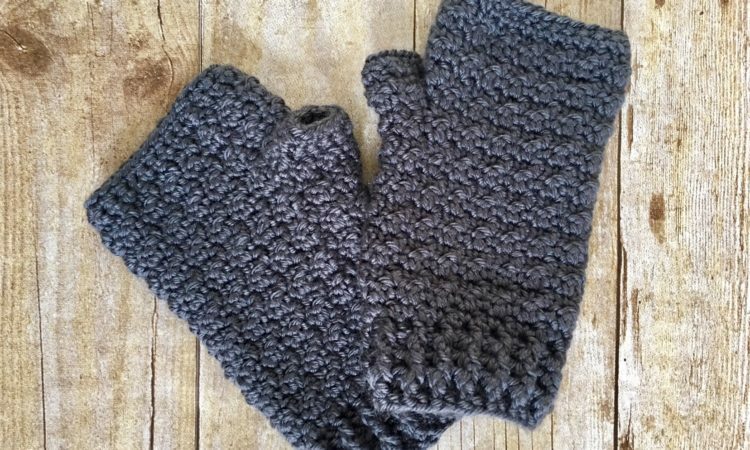 If you like this free pattern, please consider buying some of your supplies from one of the affiliate links. Thank you. Additionally, I invite you to sign-up for my email newsletter, and follow me on social media for more crochet and yarnie goodness! I am glad to see this kind of pattern. I was bitten by a feral cat and had extensive surgery on my right hand. of keeping hands limber as well…a win-win! Oh my goodness! I’m sorry to hear that a cat caused such damage to your hand. Thank you for your kind words about my pattern! I hope you’ll share a picture of your finished gloves. 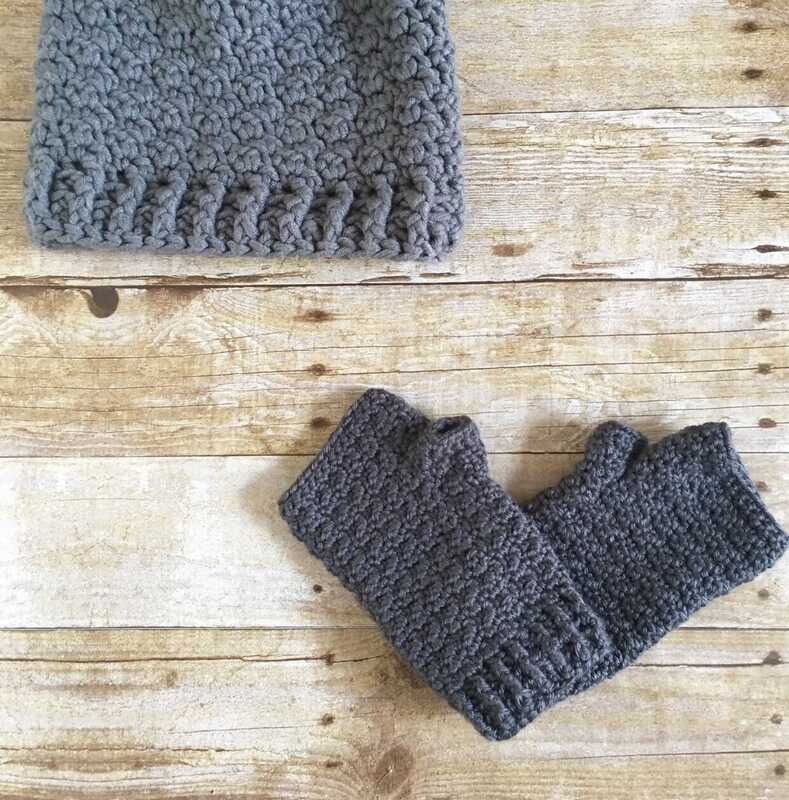 Love your fingerless glove pattern and would love to make mittens with the lemon peel stitch, do you have a pattern for mittens?? Thank you for your comment. I do not have a pattern for the mittens at this time, but I can definitely consider offering a pattern in the near future.